Business description from prospectus – PoojaWestern Metaliks started the business of brass manufacturing by forming a partnership under the name of ―Pooja Precision Products n the year 1993. The unit was started to cater sanitary and bathroom fitting manufacturers in domestic market. Gradually as the business grew, promoters formed another partnership in the name of Pooja Metal Industries for manufacturing of brass equipment to specifically to cater international clients. The firm was registered as 100% Export Oriented Unit under the permission from Development Commisoner, KASEZ. To corporatize the operations, both partnership firms were converted into a public limited Company. The company currently has two units both situated at GIDC, Phase II, Dared. The registered office and Unit I is situated at Plot No. 1, GIDC, Industrial Area, Phase II, Dared, Jamnagar – 361 004. Unit II is situated at Plot No. 665, GIDC, Industrial Area, Phase II, Dared, Jamnagar – 361 004. 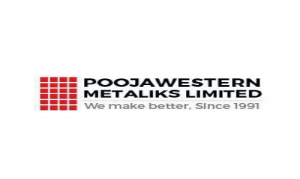 PoojaWestern Metaliks IPO allotment status is now available on Bigshare Services' website. Click on this link to get allotment status.